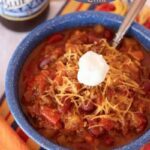 Slow Cooker Aloha Chili takes just a little prep work, then simmers in the slow cooker so you come home to an easy meal with meaty, delicious sweet heat. 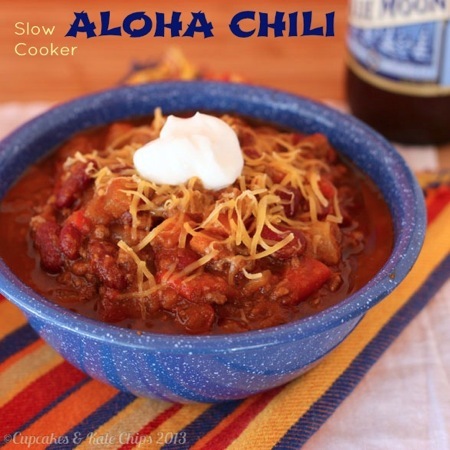 And for an easy weekday meal, Slow Cooker Aloha Chili definitely fits the bill! You all know that I am part of #SundaySupper, and our mission is to bring back Sunday Supper Around the Family Table in every home. But the mission doesn’t end there. The goal to to make gathering loved ones together over a meal cooked from the heart and soul as many nights of the week as possible. And that doesn’t mean the meal has to be complicated or expensive or require special ingredients. Heck, make a Hamburger Helper – if it gets you and your spouse and kids together and talking instead of running in ten different directions or staring at your smartphones, then that is what really matters. But that is also why #SundaySupper has expanded to #WeekdaySupper, where every Monday through Friday we bring you meals that are simple enough to make any night of the week, and are suited to busy families. You can see what’s cooking up this week at the bottom of this post. 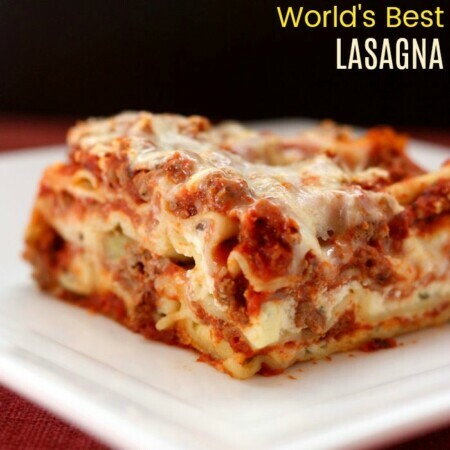 And don’t forget about the #SundaySupper and #WeekdaySupper Pinterest boards! I always joke that I have a love/hate relationship with my slow cooker. I love how easy it makes meal preparation, but as a stay-at-home-mom that is home nearly every afternoon while The Bug naps, I hate that it makes me hungry as I smell the food cooking ALL DAY! This was definitely one of those dishes that made me anxious for dinnertime. I didn’t make it too spicy because of The Bug, but it was a delicious combination of sweet heat with the rich, meaty bites of beef and beans and tomatoes, and surprising bursts of the juicy, sweet pineapple. This does require a little advance prep work, simply in the form of browning the beef and chopping some ingredients. But you could definitely do that while you are prepping dinner the night before, if you are short on time in the morning, then the next day just dump and run. You’ll come home to a perfect one pot meal. 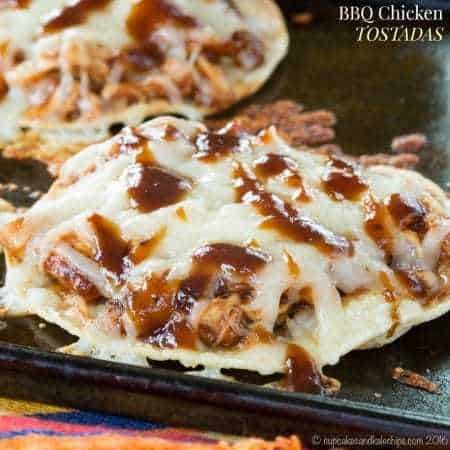 Just pull some cheese and sour cream out of the fridge, and maybe some tortilla chips out of the pantry. Or perhaps you baked some cornbread over the weekend, or even just picked some up at the store. Or, if you have time, make up some Zucchini Tater Tots, which is what we had with the chili. You are good to go!! And let me tell you how excited I am to have the leftovers in my freezer for an easy meal after baby arrives! Oh, and you know how I know this is a perfect #WeekdaySupper? Because it was totally Bug Approved! 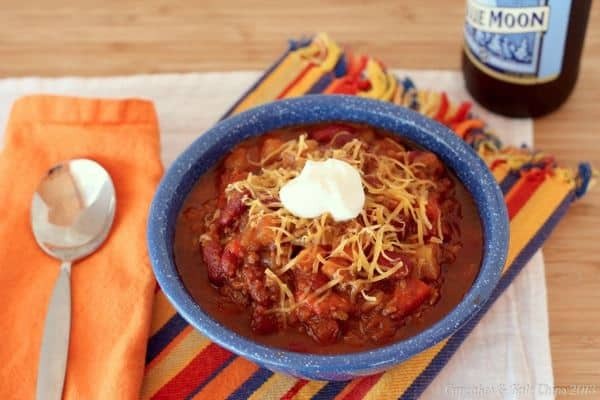 What do you like to make in your slow cooker for an easy weeknight meal? In a pan, brown the ground beef, and drain the excess grease. 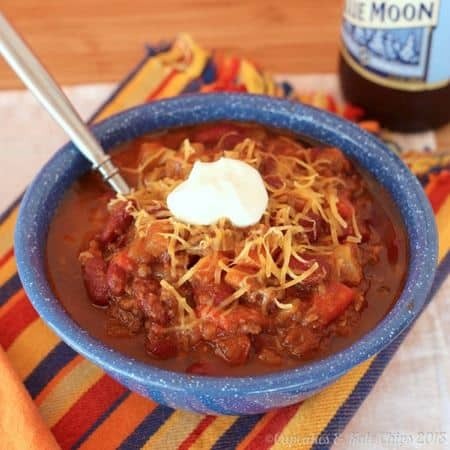 Combine all ingredients in slow cooker and cook on low for 6-8 hours, or high for 4-6 hours. If it is too thik, add additional water, or too thin, let cook uncovered for awhile. I am sure this would work equally well with ground turkey or chicken. Do you drain the kidney beans or the pineapple? How many servings does this make? It is in the crockpot and it smells great! Hmmm, I haven’t made this in awhile so I honestly can’t remember. Hope you enjoyed! This sounds great. 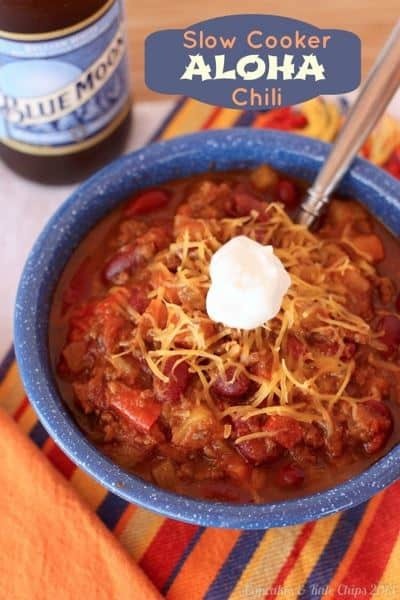 I’ve never thought of adding pineapple to my chili before but I love spicy and sweet so I’m definitely gonna try this. For more Hawaiian flare try serving the chili over rice. Spicy and sweet is good, and rice is a great idea. G’day and Aloha indeed, true! Your photo is mouth-watering and could go for some right now too! This sounds so good! I’m pinning to make soon! Yep, it is definitely slow cooker time of year! Thanks Brianne! I could use more slow cooker recipes! They have been my saving grace lately!! So much flavor !! Love the addition of pineapple ! Must try this recipe. Will be a hit with the kids I think !! Yes, The Bug loved it, and it is flavorful, but you can adjust the heat level to what you and your kids will eat. What a great idea to add in some pineapple (love the Aloha title.) I’m still one of those crazies whose slow cooker is gathering dust – need to bit the bullet and start using it more! Thanks! This late in my pregnancy, the slow cooker has been a saving grace. Easy meal prep, plus the recipes usually make enough extra to freeze! This look amazing! I shared this on my Facebook page. Trying this one soon, thanks! I think I’m in love with your blog. The photos are beautiful and your weeknight supper meal looks inviting. 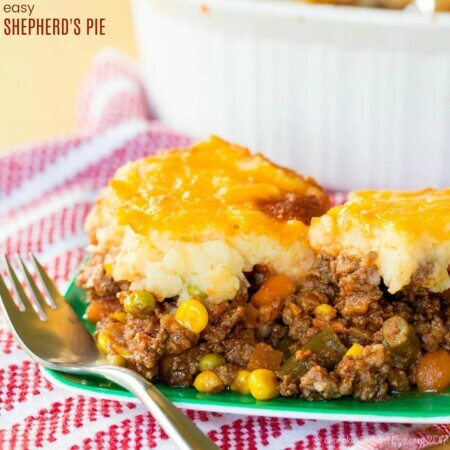 I’m going to try this with textured vegetable protein (TVP), which has the texture of beef when soaked in water. 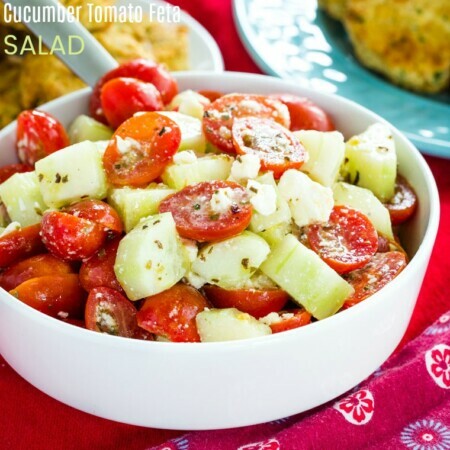 This recipe is perfect for the weekday! Thanks so much! You are so sweet! And I’d love to hear how the TVP turns out, so I can let my non-meat-eating readers know. We are huge chili fans, but I’ve never used pineapple in it. I just happen to have a can in the pantry – I definitely need to try this out. Thanks for the idea! This was my first time doing it, and I thought it was perfect, though I do make a black bean & pineapple taco/sweet potato filling or salad topping, which we love, so I had a feeling this would be a hit!